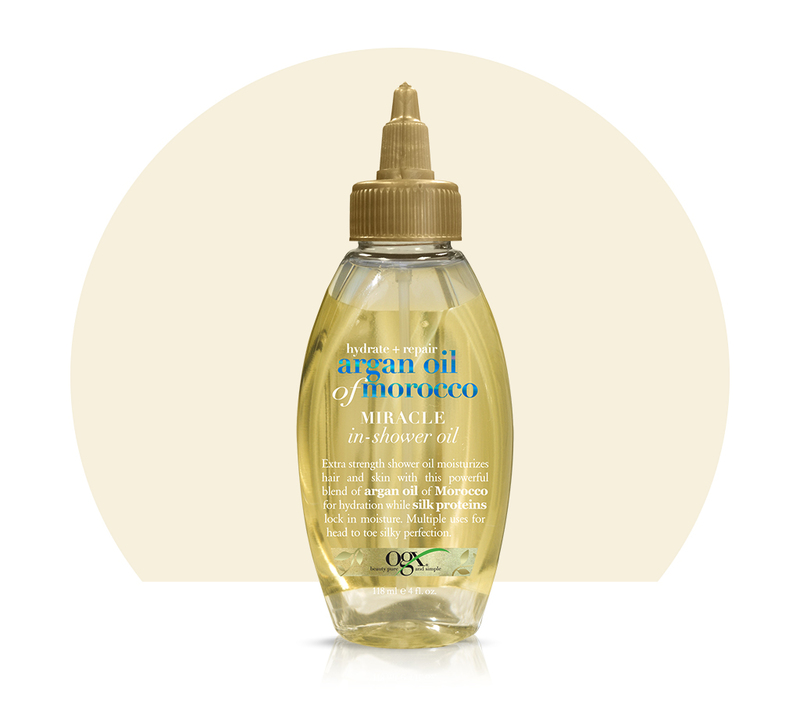 This week I'm obsessed with...OGX Hydrate + Repair Argan Oil of Morocco Extra Strength Miracle In-Shower Oil! OGX Hydrate + Repair Argan Oil of Morocco Extra Strength Miracle In-Shower Oil - 200ml - $10.99 - a multi-tasking marvel that you use in the shower by: adding a few drops to shampoo or conditioner for a boost of hydration, smoothing onto clean hair to prevent damage and heal split ends; applying to hair for a hydrating pre-shampoo treatment; and moisturizing skin from head to toe. Part of the new OGX Hydrate + Repair Argan Oil of Morocco Extra Strength collection that also includes Shampoo, Conditioner and Creamy Hair Butter - for hair in need of serious repair that was developed to deliver intense nourishment and care for even the most severely dry, damaged hair that drenches the hair with moisture, strengthening from within to create soft and supremely shiny hair. Moisture + Vitamin B5 collection which includes a Shampoo, Conditioner and Weightless Oil Mist - with nutrient-rich Vitamin B5 to correct and protect hair, delivering a surge of moisture to stressed strands while providing defense against daily environmental aggressors and future damage. Available now at Shoppers Drug Mart and Walmart.